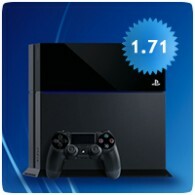 A new firmware for the PS4 has been released, updating the system software to v1.71. You will be prompted to update your console the next time you boot it up, or if you’re lucky, the update will have already been installed for you. The update is mandatory, which means you console must be updated before you can play online. You’ll need a minimum of 320MB free space on the console or removable media to update the console.